The kitchen is a central location in many homes. It’s where food is prepared, meals are enjoyed, and most family bonding takes place. As one of the most important rooms in your household, your kitchen should always look its best. If you’ve recently noticed this room looking drab or unimpressive, you may want to consider redecorating or remodeling the space. Gray is having a moment in interior decorating. This neutral is getting new life with blue, green, and beige undertones and is being used as a pop of color in many kitchen designs. You can choose gray cabinets and appliances for a strong statement, or add a backsplash in color for a bit more subtlety. For a modern yet timeless look, try black and steel appliances in your kitchen. These colors are easy to clean and maintain, and they’ll look chic no matter what color you paint your kitchen. Refrigerators, microwaves, and ovens all look exceptional in this color combination. If you want to borrow an aesthetic from across the pond, try fully-white cabinets in your kitchen. English-style white cabinets offer a clean, elegant look that reflects light beautifully. You can make the look even more sophisticated by choosing white knobs and handles as well. If you want to jazz up the floors in your kitchen but are hesitant about using carpets and rugs in this room, consider a statement tile. You can choose a specific pattern or brightly-colored tiles to bring your kitchen to life. These bright tiles will make your kitchen look edgy and modern without making a drastic statement. 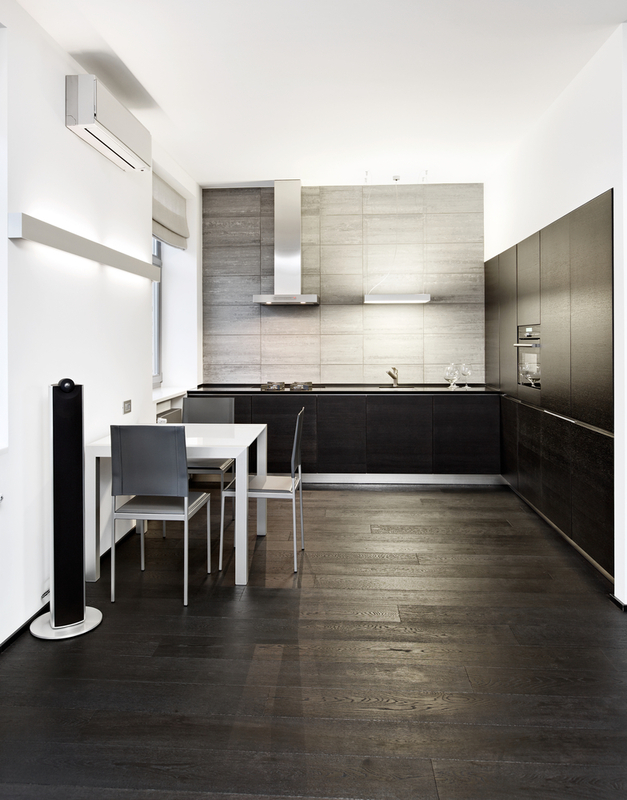 For a more subtle and sophisticated flooring option, try dark tiles or wood panels. Darker colors easily hide dirt and stains and are easy to maintain. With proper care, these chic, modern floors will continue to look incredible for years to come. To begin working on your new kitchen design, visit the Bargain Outlet online to view their selection of cabinets and flooring. This home improvement center has multiple locations; click here to find the location nearest you and begin shopping today.